Effectively improve cardiovascular fitness levels with the DKN AM-3i exercise bike that offers efficient and comfortable lower body training with its 11kg smooth-working flywheel, and 32 digital levels of magnetic resistance. 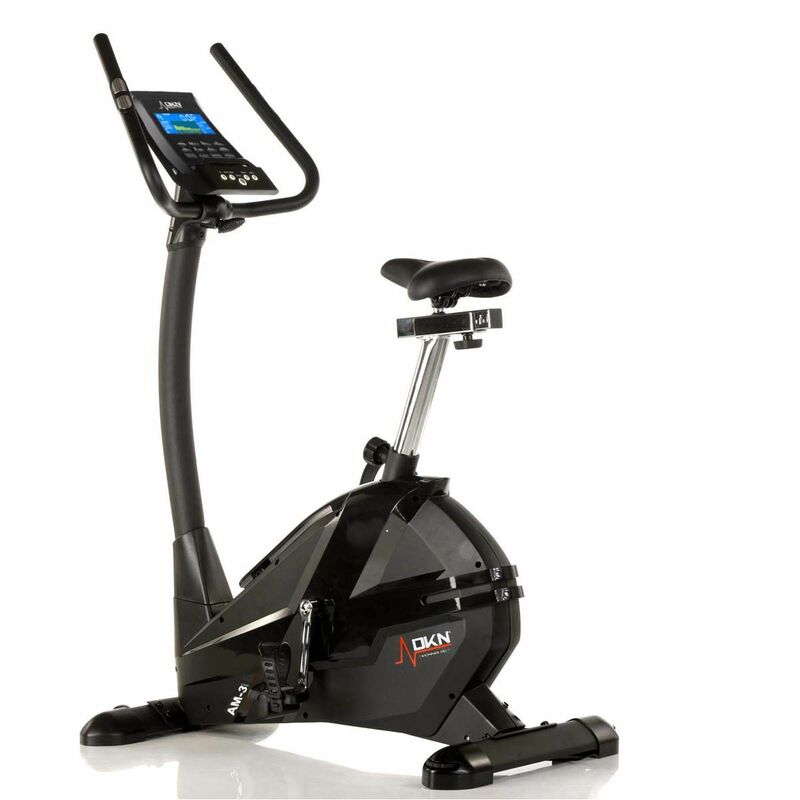 The machine features 4 user profiles for more accurate settings and a wide selection of 18 programmes (including 1 manual, 3 user-defined, 12 pre-set, as well as heart rate control and Watt training options) to keep yourself challenged and motivated. Crucial workout data is provided on a clear, multi-colour LCD display, whilst heart rate can be easily measured via hand pulse sensors or a Bluetooth 4.0 wireless receiver with an optional chest strap. 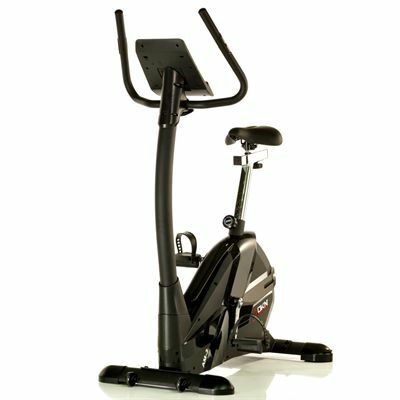 For a comfortable riding position, the bike offers a large, adjustable, gel covered seat and adjustable handlebars. 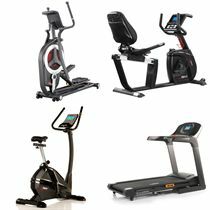 Plus, it is compatible with Vescape and Kinomap fitness apps to give you access to unlimited interactive workout options. To make fitness time multi-tasking time, the machine has an integrated tablet holder. 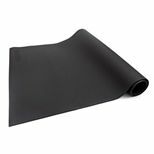 Save 50% on the Viavito 140 x 80cm PVC Equipment Floor Mat when purchasing this product! 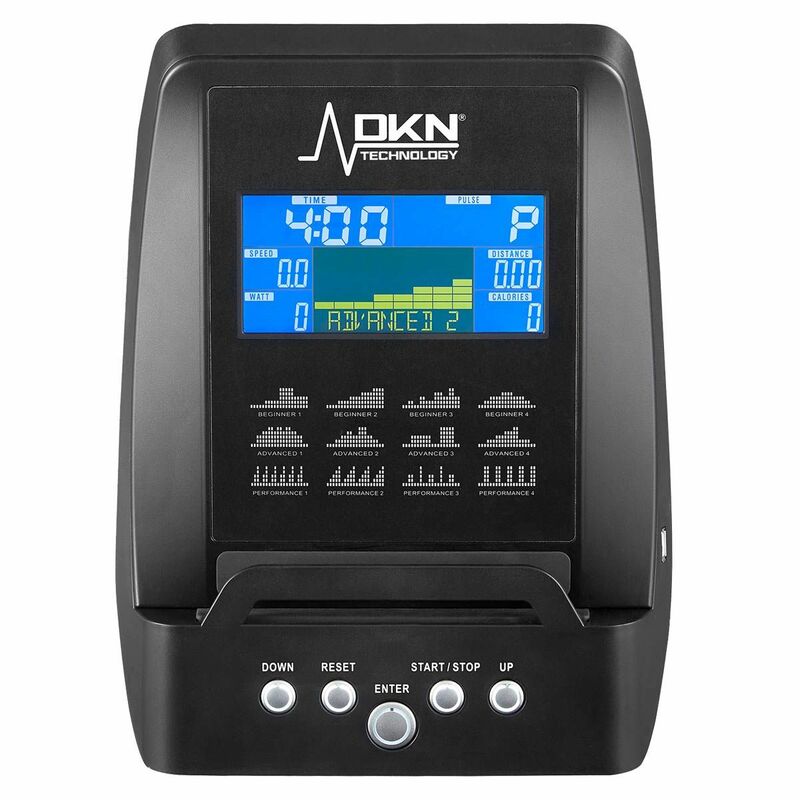 for submitting product information about DKN AM-3i Exercise Bike We aim to answer all questions within 2-3 days. 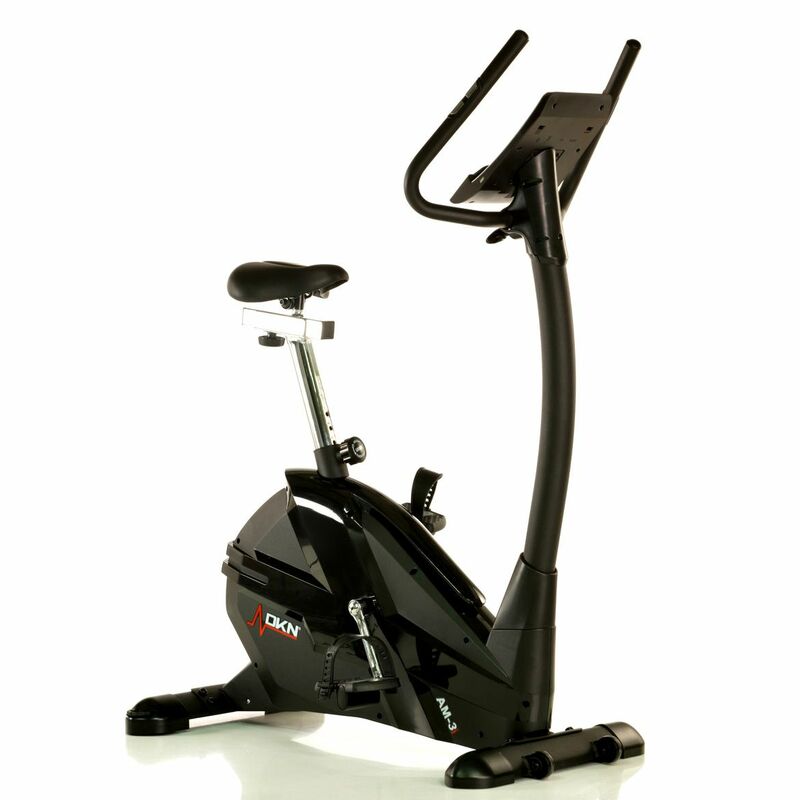 for submitting product information about DKN AM-3i Exercise Bike. We aim to answer all questions within 2-3 days. If you provided your name and email address, we will email you as soon as the answer is published. The bike is mains powered and includes an AC adapter. I want to buy for my mum who is 5 foot 3, will the seat be adjustable to allow her to use the product comfortably? Yes. The bike has a soft, gel covered seat with vertical and horizontal adjustment so there should be no problem with finding setting that will be comfortable for your mum. Hi. What are th dimensions of the boxed bike when delivered please? If it was delivered to my workplace, I could then transport it home in a large estate car. Thanks for your help. Dear William, it surely can help you get back into shape. Hi. I am interested in buying the AM-3i and was wondering if it has wheels for moving it around. Yes. It does have transport wheels. They're located on the front stabiliser so you can simply tilt the bike forwards and then easily wheel it around. Is this bike suitable for a 19 stone man? The maximum user weight for this bike is 150 kg (23.6 stone) so it’s perfectly suitable. My 11 year old and I put the bike together easily. It is really quiet, I kept thinking I had forgotten to switch it on! I am getting back into exercise after a lot of years off, but my husband is a very keen cyclist (80 mile races with 700 ft of climb). This bike works for us both. We have only had a little go with the Kinomap, but that looks like a good tool. For the price this is a very good exercise bike and we we recommend it. My reason for only rating this as a Acceptable is the extremly poor instruction manual. Putting the bike together was relatively easy however what the manual doesnt cover in any detail is any of the features and how to make use of them...very dissapointing!!! 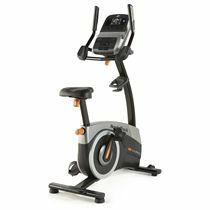 Great purchase if you want a mid-range exercise bike that is well built and stable so you are not wobbling around if you decide to push yourself when exercising. 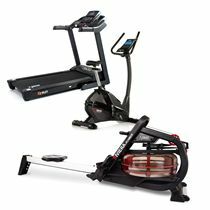 Easy to put together (approx 30 minutes), smooth operation, with an excellent range of functions and programmes to suit all fitness levels. 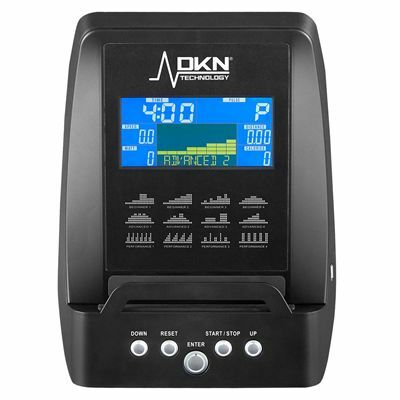 The DKN AM3i is probably as close as you will get to a gym machine without paying silly prices. I have given this a 5 star rating despite the bike having a fault with the pulse senor when delivered, in fact the service offered by Sweatband.com in dealing with the fault, made the purchase even more impressive. The bike was ordered on Tuesday, delivered on Wednesday, the fault was reported by email on the Friday and by the following Tuesday a new set of handlebars arrived which rectified the fault. This Bike is excellent value for money and the service provided by Sweatband could not be better. This is a very smooth bike, and perfect for an amateur like me. The only issue I have is that the button lights are distractingly bright. Very good exercise bike. Easy to put together. Easy to use the built-in programs or use as manual, setting your own resistance. Can definitely get an excellent workout. Only issue I have is with the seat......has a tendency to work loose and swivel when getting on and off! 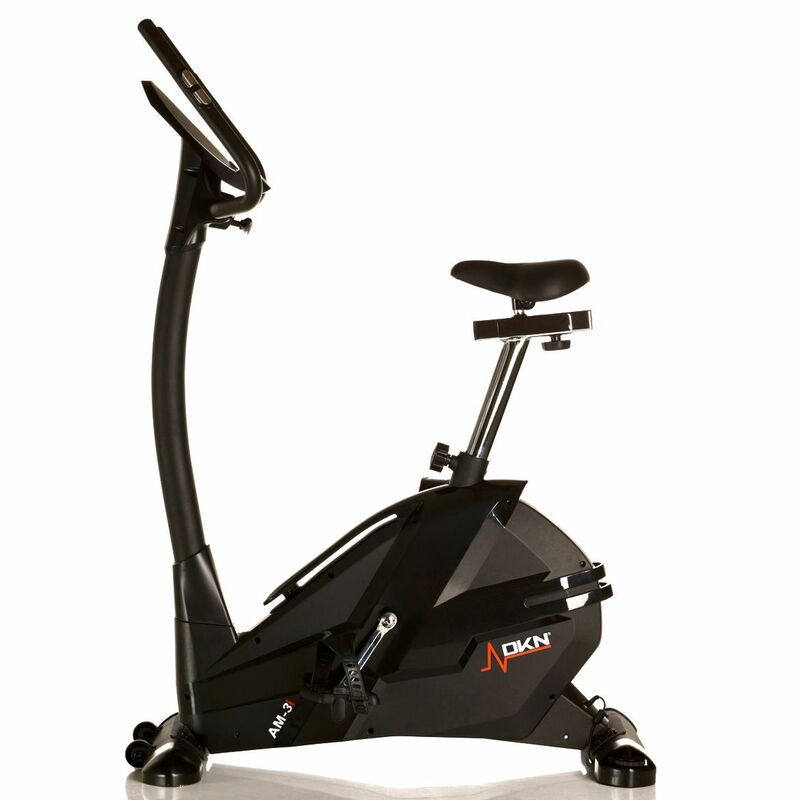 Other than that, a great exercise bike! This was an awesome buy! I had no problems putting it together, took about an hour to do on my own. This thing is soooo quiet. Really good quality and a very good price. This is a great bike very well. The quick delivery of the bike in a well secured box was a good start. On opening the box I found the bike parts to be very well manufactured and the instructions to assemble quite clear. Since then the bike has been used every day and we have found it to be very stable and quiet to use. A great bike and I am delighted I chose this one over the plethora of other bikes available. Very good value for the money spent. Firstly let me commend Sweatband on their sale of the bike to me. All correspondence was first class as was the tracking and delivery of the bike. Ordered on a Thursday it arrived on Monday as promised. The bike itself was pretty easy to assemble. the only time I needed another pair of hands was to connect the cables. The connection was a bit fiddly. The bike works perfectly...smooth and good change of resistance. My only real gripe is that DKN indicated they have 2 apps... but one is pretty basic and one is not supported any more. 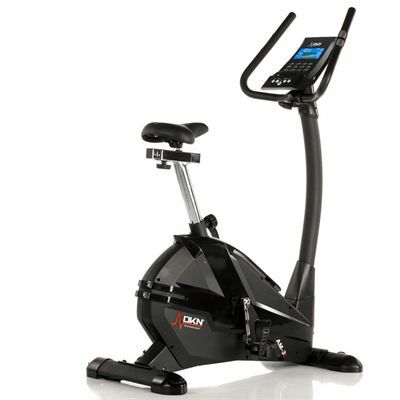 for submitting product review about DKN AM-3i Exercise Bike.